​Our “pickers” always pick the largest plants of the variety you order. All plants are shipped well rooted, in soil-filled pots, and never "bar root." In general, for the Standard, Medium, and Dwarf trees & the Whites, Pinks and Lavenders ship at about 2-4 feet. The Standard, Medium and Dwarf varieties are in 5 inch tall, square pots. The Miniatures, being naturally smaller plants, are in smaller pots. With Shipping becoming so expensive, we do everything to keep your cost as low as possible. The new Dark Purples (Catawba, Centennial, Velma's Royal Delight, & Powhatan), and Bright Reds (Dallas Red, Carolina Red, Victors), ship at about 1-3 feet. Due to their incredible popularity, it is difficult for us to keep large plants of these colors in stock. Remember, once you plant them they will grow about a foot a month! The Miniatures (ex. Purple Velvet, Sacramento, Houston), only get about 8inches-5 feet (depending on variety), when mature and they are anywhere from 6 inches to 14 inches when they leave our nursery. 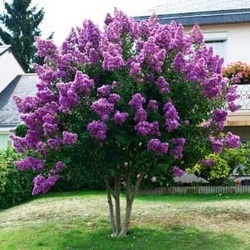 We send our popular Yellow Sheet Planting and Growing Instructions with every order and you’ll see how easy it is to plant these Crape Myrtles yourself. 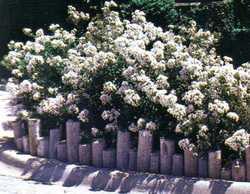 You will not need to hire a professional landscaper or gardener to plant them for you. 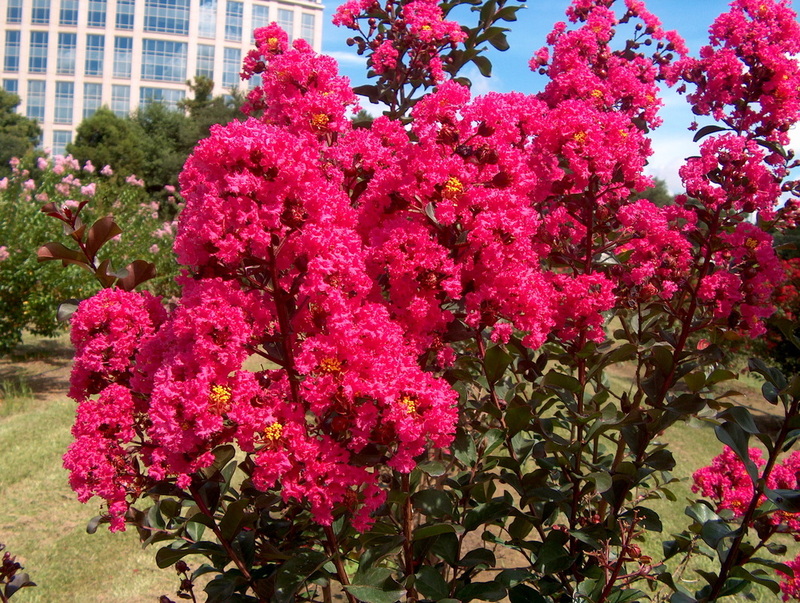 It only takes about 3-4 years from the time you plant most Crape Myrtles until they get full size. You will be amazed at how fast they grow!